Americans who own Samsung's recalled Galaxy Note 7 smartphone will finally be able to pick up a replacement on Wednesday. Regulators issued the recall last week after dozens of people reported that the Note 7 caught fire while charging. The fixed phone's rollout marks the end of a costly, weeks-long nightmare for Samsung, which suspended sales of the phone Sept. 2. The fires were traced to a battery problem believed to affect 0.1% of the 2.5 million phones sold worldwide since August. The Note 7 exchange program got off to a bumpy start outside the United States on Monday. 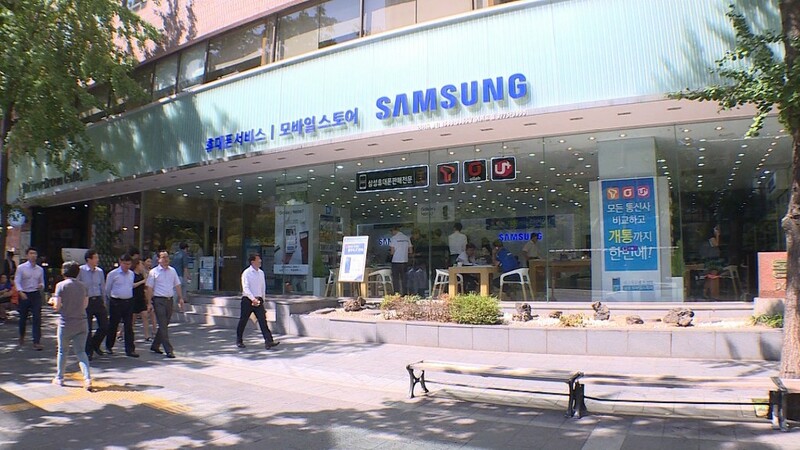 In Samsung's home market of South Korea, the program didn't attract much demand in Seoul. Of the handful of Note 7 owners who visited one of the company's service centers in that city, only a few were able to exchange their phones. Some customers who bought the phone elsewhere or online were turned away. Note 7 users stateside have been told to pick up their free replacement from Samsung, their wireless carrier or the store where they bought the phone.